I have always considered the Fall and Winter seasons to be the most glamorous time for fashion. The first hint of a chill and I’m swapping out my favorite Tory Burch Miller sandals for my cozy UGG boots! You can be wearing jeans and a plain crew-neck, but if you throw a cashmere poncho over everything, you instantly up your glam factor ×1,000. I say the same thing for handbags. 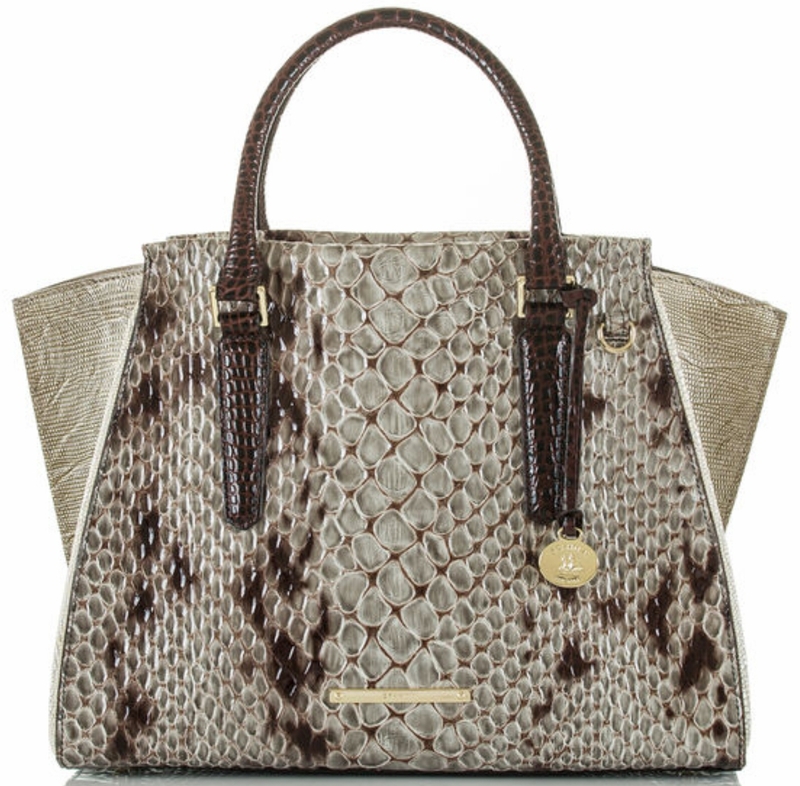 Croc and snake embossed prints are a MUST for Fall and Winter bags, and Brahmin does it best! 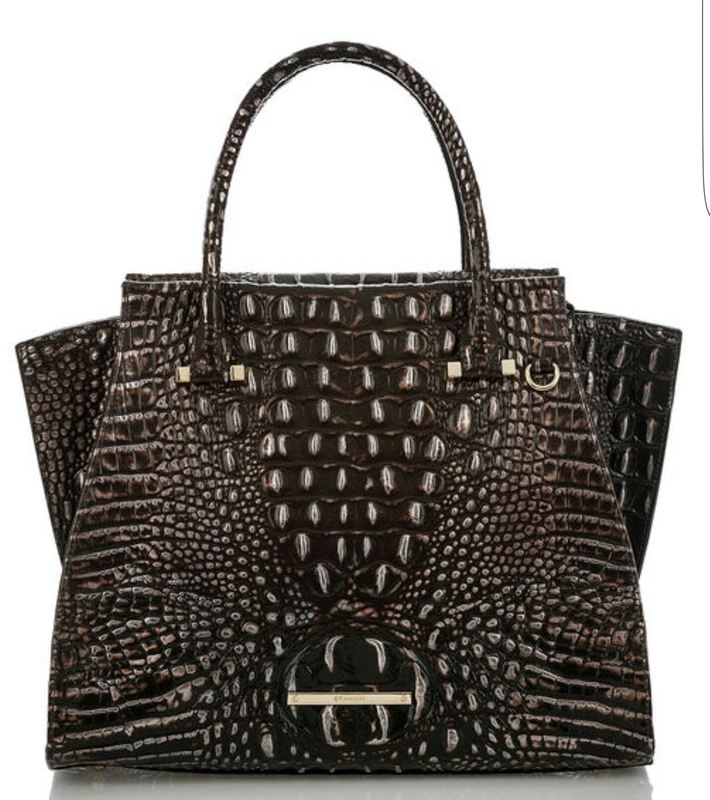 I have been a faithful lover of Brahmin bags for as long as I can remember, and this year their Priscilla Satchel has earned my unremitting adoration! 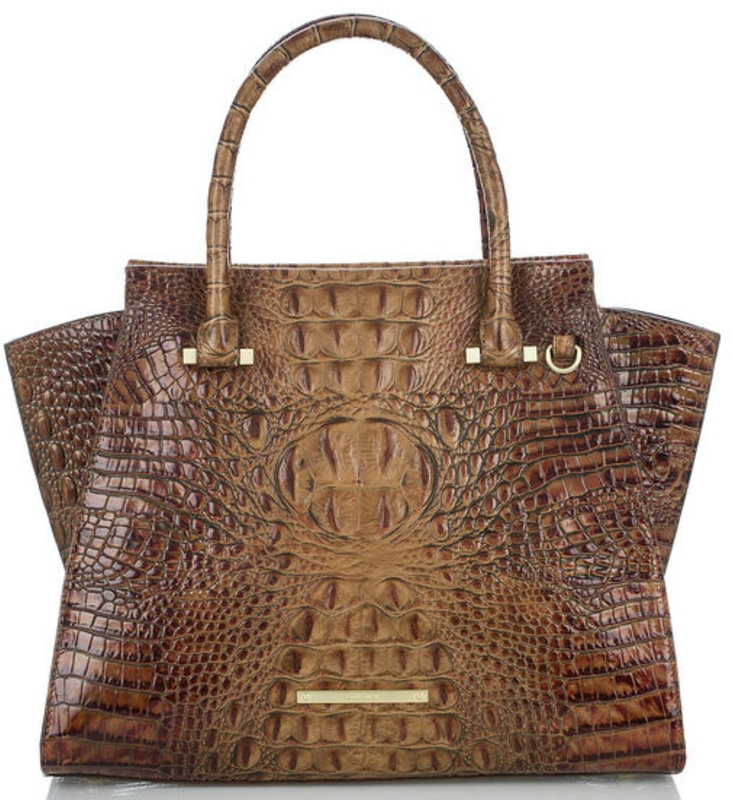 This design is beautifully crafted out of sturdy leather. 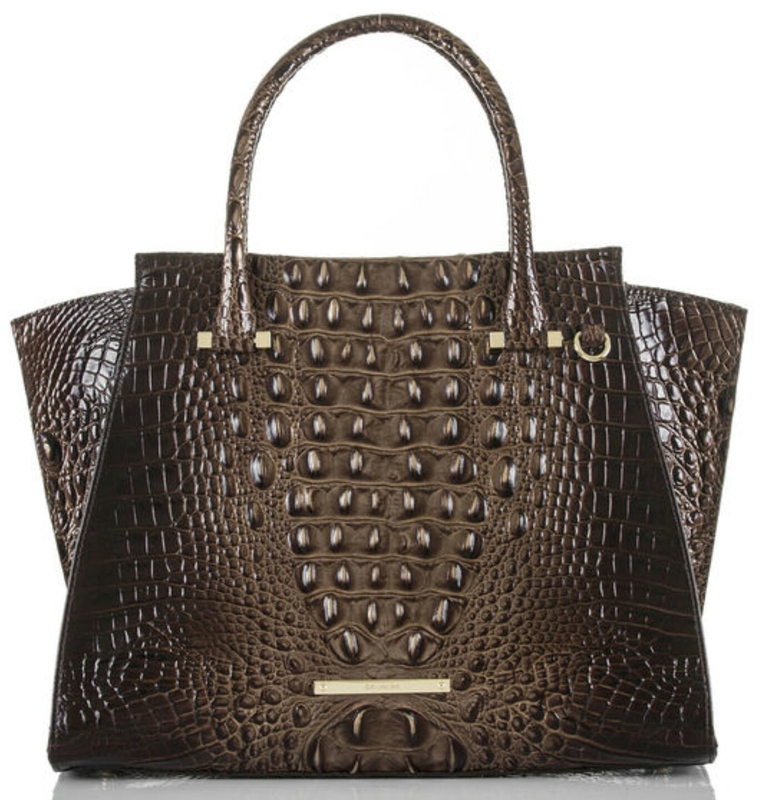 I have never had a Brahmin bag fall apart on me, they stay beautiful for years and years. 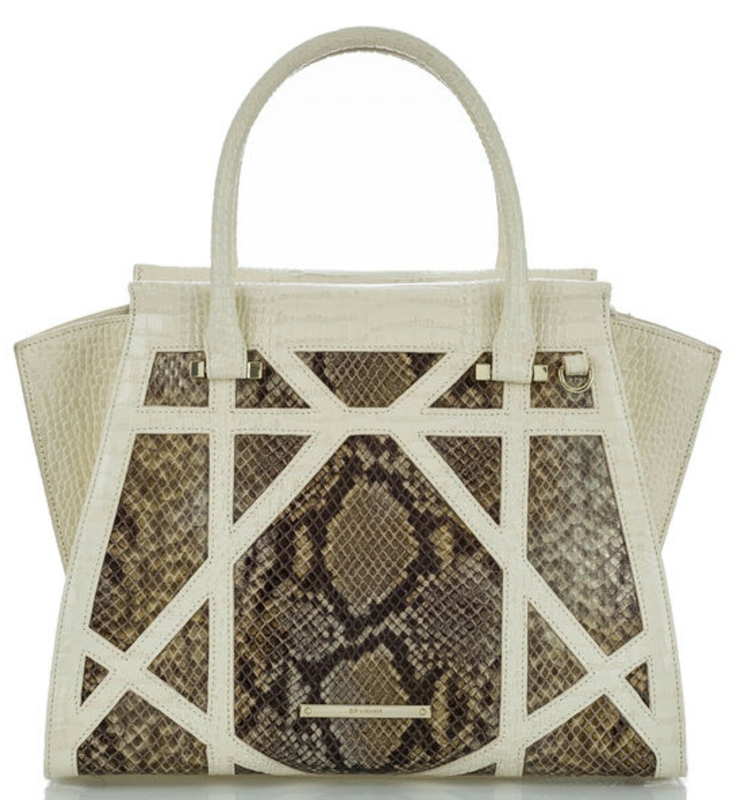 I love a structured handbag over any other type of bag. I hate when bags sag in the middle or start to lose their shape. 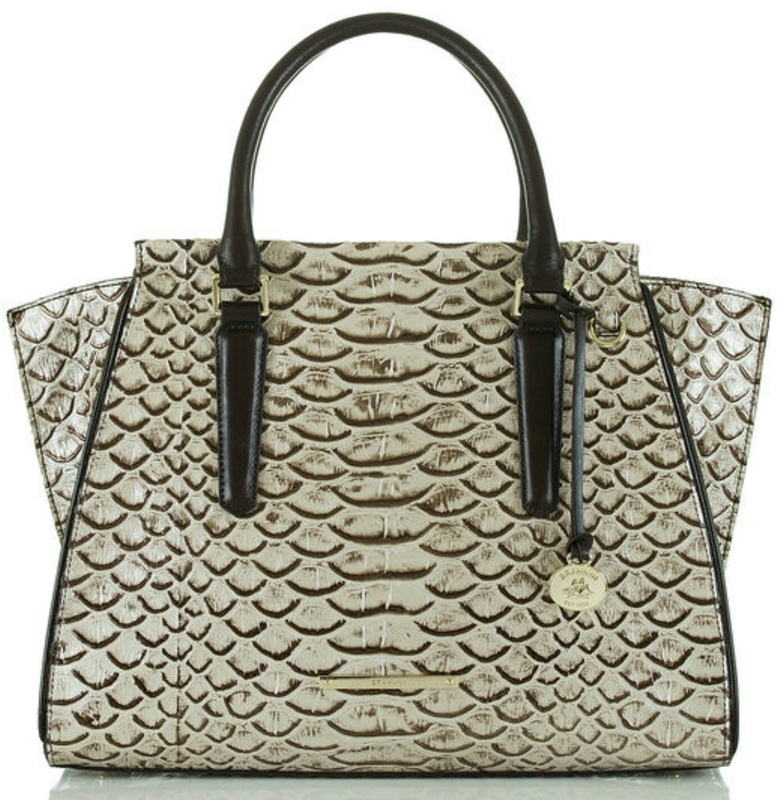 There are of course exceptions to those rules, like my Neverfull MM and my Christmas gift this year (sneak peek of that to come), or my Stella McCartney Fallabella, but even those I put some sort of bag shaper inside to keep them looking their best and avoid creases. Yes, that does seem like quite a bit to go through for a bag I suppose! No misshapen woes to worry about with this design! All of these bags come with an optional shoulder strap, there are pockets and room galore, and you get dust covers. The prints are just breathtaking! Obviously, the only problem with this bag is how do you choose your favorite? This has been their classic color since the brand was founded. Rich browns, russet, and caramel tones make this the most un-boring neutral in existence. This is a really multi-toned olive-green hue. 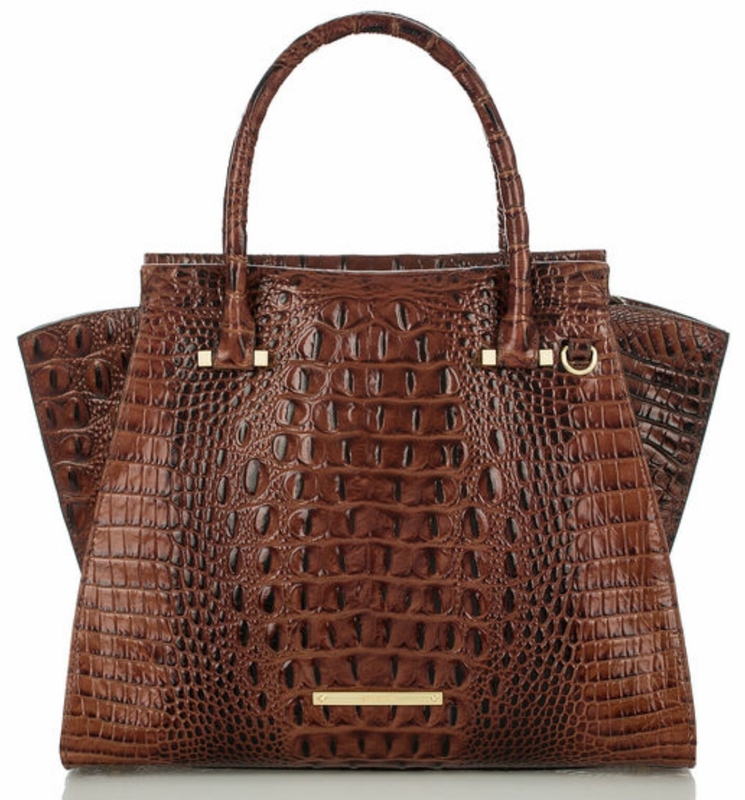 The things about Brahmin bags are that the photos never do them justice. The craftsmanship is so much more lovelier in person. Something about this design reminds me of Burberry. This bag was made for London! 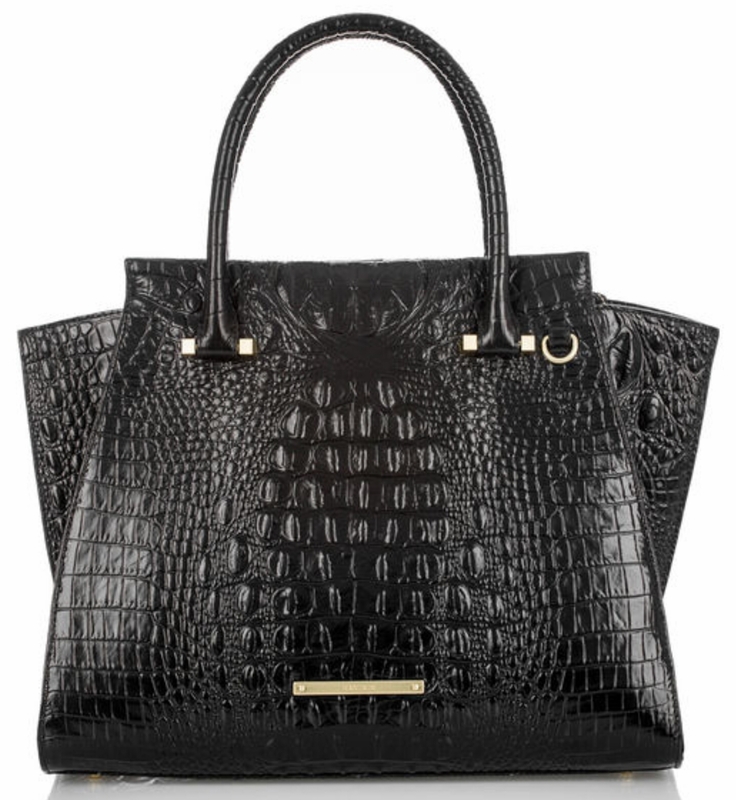 Classic black croc embossing. This will always be a classic! 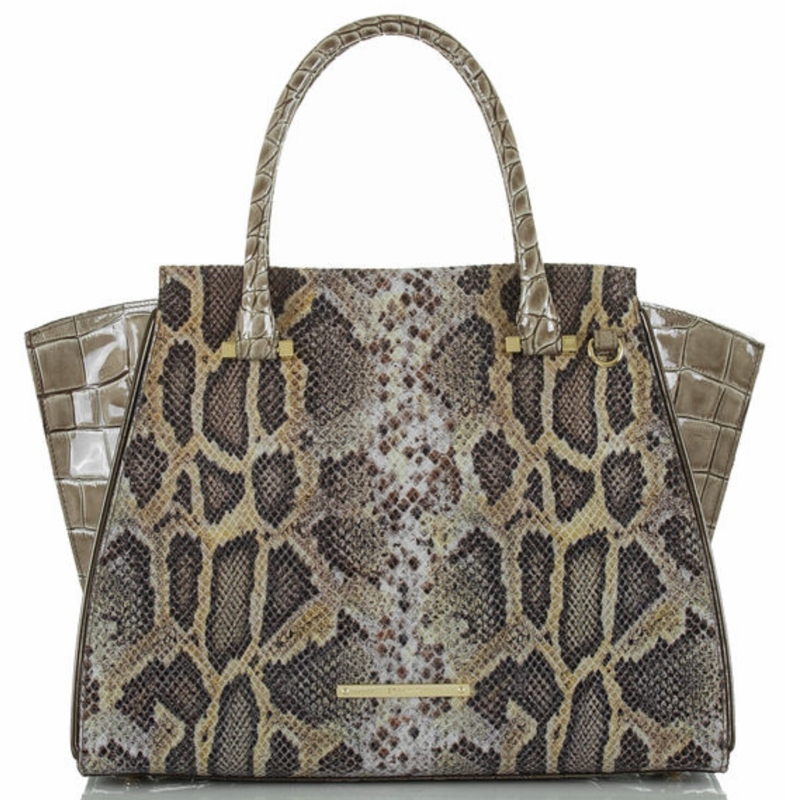 I am loving all of these elegant snake prints this year! This one has subtle champagne tones. I consider taupe to be a very necessary staple in your family of neutrals. There are so may things that it goes with. I wold say I use my taupe colored bags as much if not more than my tan or beige ones. This is a rich cocoa ombre shade. All of these bags have a subtle sheen to them. The finish is not quite glossy, but not matte either, it makes it all the more rich looking. If the Pecan Melbourne is too deep of a neutral than yo are wanting, the Toasted Almond is the way to go. This shade is just so exquisitely beautiful! 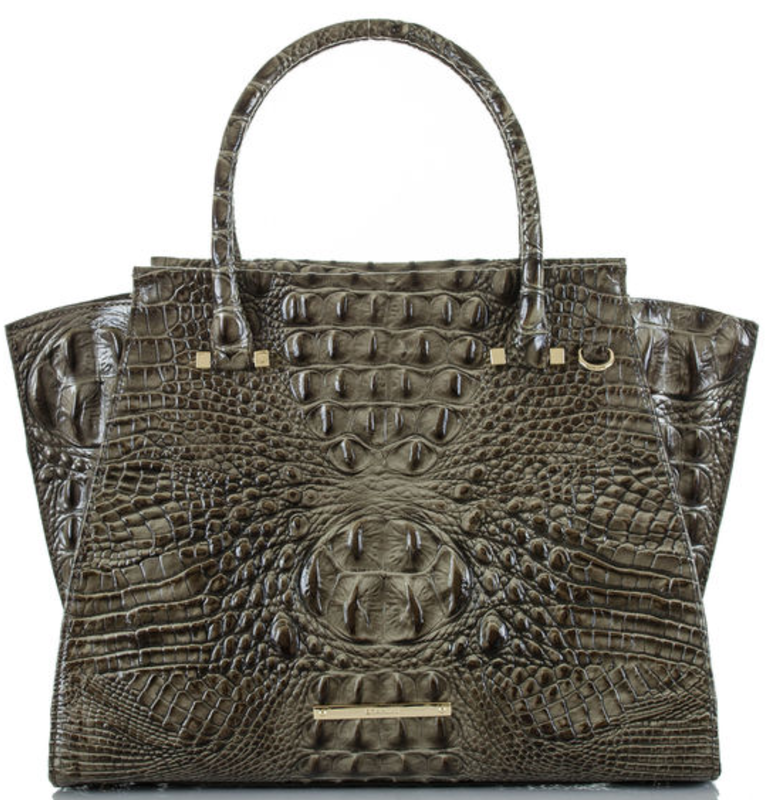 It is the darkest brown imaginable, but the croc embossing gives it that two-toned appeal. The color is so rich! Gold is what’s in this year, but if you are not wanting that bold 24K look, a more subtle champagne gold is a great option. 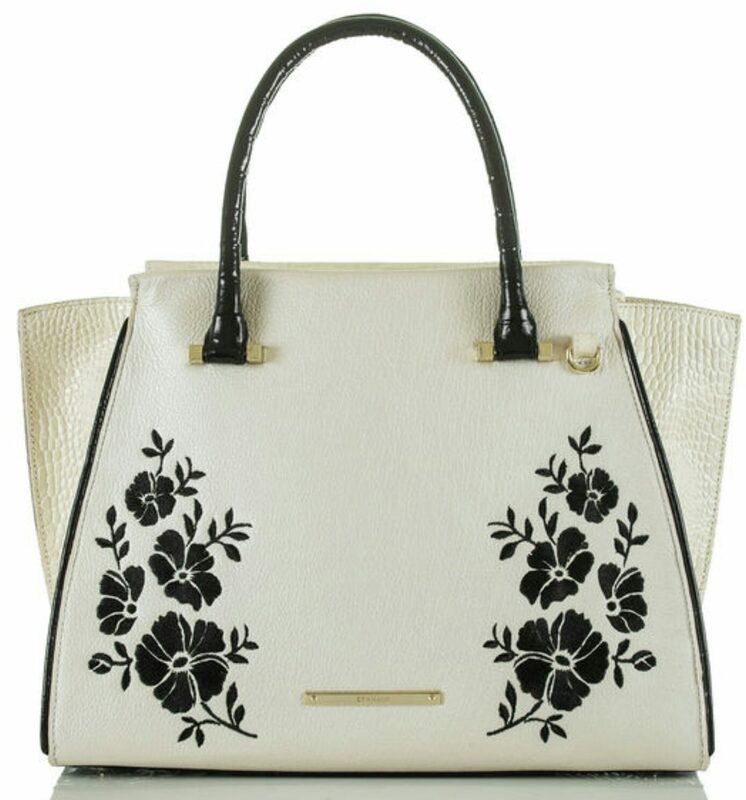 This bag has s much character, it will make the outfit. 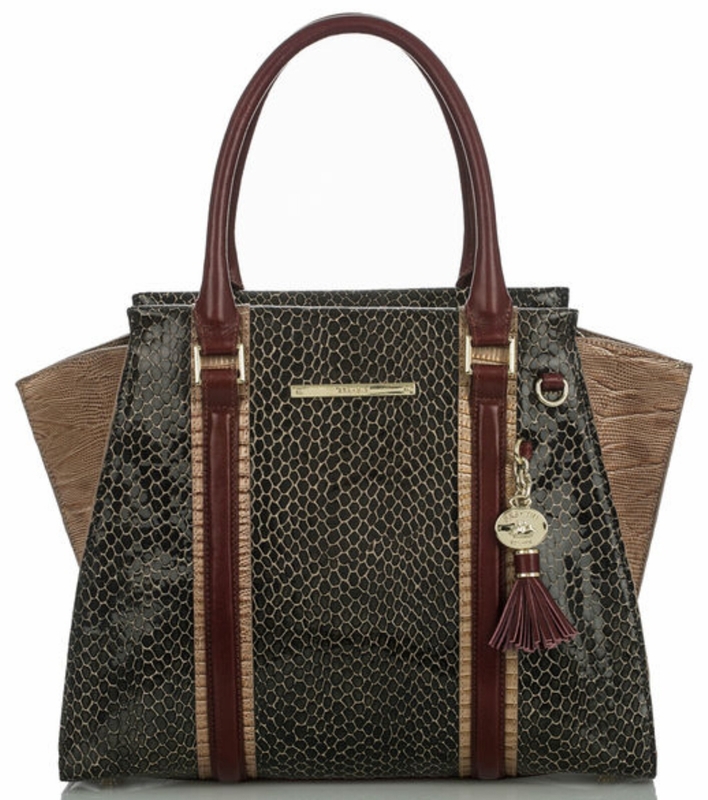 Brahmin always manages to make a snake-print look sophisticated, even when it is pink! I love this print. It is so bold. 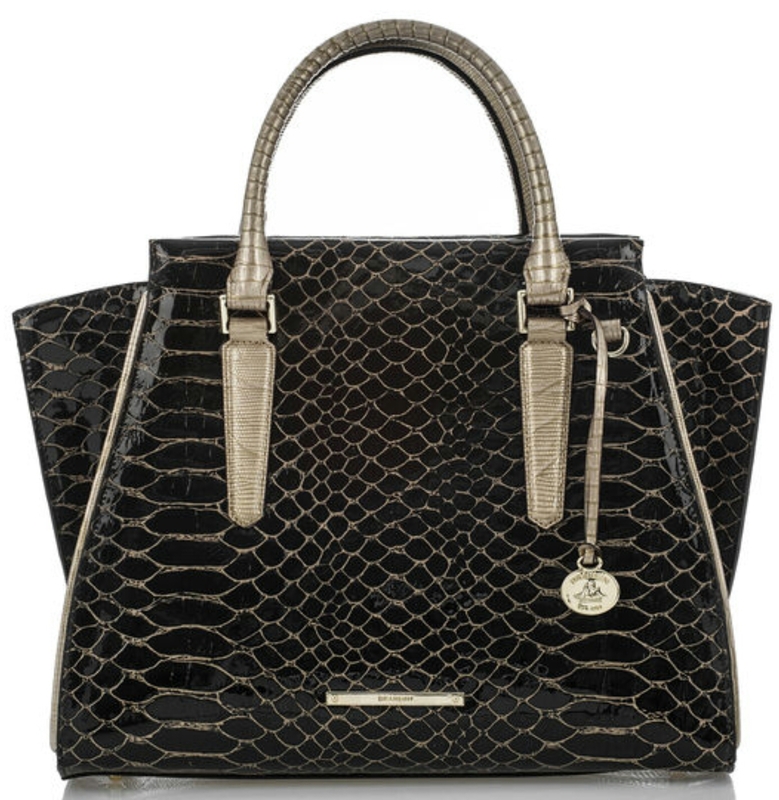 I love a bag that will give that wow factor to any of my 1,000 black dresses! To be honest, I am not much for embroidered bags. This one is just so beautiful though. The thing I love about this one is that the embroidery is perfectly symmetrical. 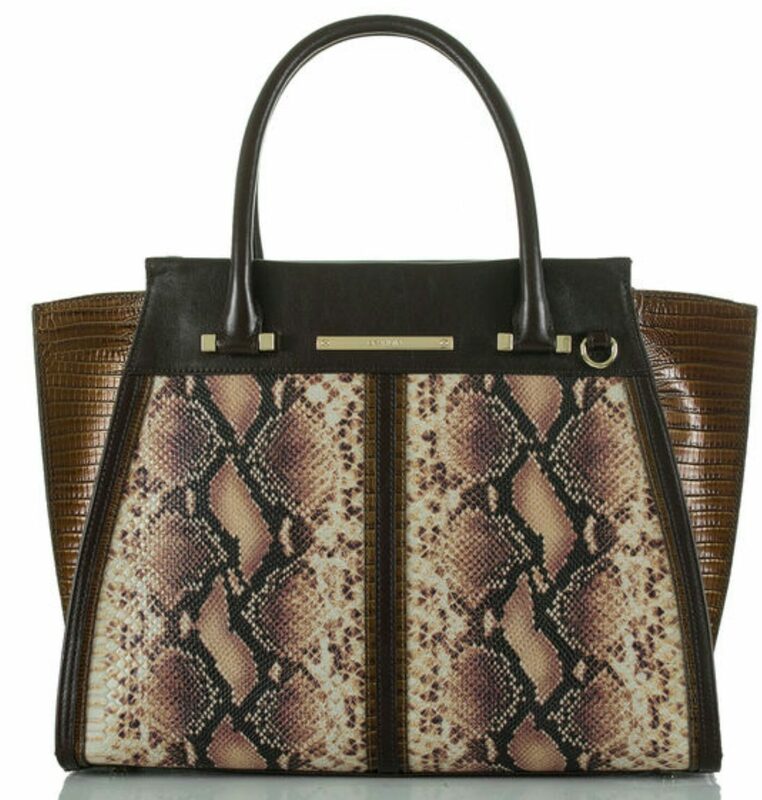 This print has the most patent like finish that makes the dark brown almost look black. Lovely! Do you see what I mean? How can you pick?